The beloved mother/daughter duo will be honored throughout the next month. You’d be hard-pressed to find a more beloved mother/daughter duo than Debbie Reynolds and Carrie Fisher, who tragically passed away within a day of each other this week: Fisher at the age of 60 on December 27, Reynolds at 84 on the 28th. A bevy of tributes to the two will air over the course of the next month. Reaction to the painfully sad news was so swift, in fact, that two networks have already honored the departed stars: ABC played an hour-long “20/20” special called “Debbie and Carrie: A Hollywood Love Story” last night, while Logo began its tribute with a “Will & Grace” marathon last night. Reynolds earned an Emmy nomination for playing Debra Messing’s mother on the sitcom, which is currently playing on the channel for three more hours as part of a second mini-marathon. Logo also aired the “Golden Girls” episode of “RuPaul’s Drag Race” from 2010 featuring the “Singin’ in the Rain” star at midnight, followed by episodes of “Roseanne” and “Golden Girls” in which she likewise appeared. 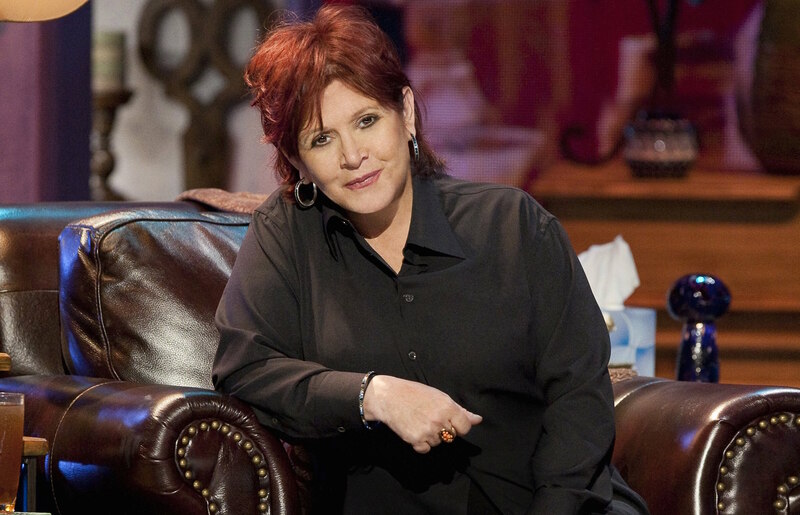 HBO is next, as it will play both “Wishful Drinking,” a 2010 documentary about Fisher’s autobiographical one-woman show of the same name, and “Bright Lights: Starring Carrie Fisher and Debbie Reynolds,” which premiered at Cannes in May. “Wishful Drinking” hits the airwaves on January 1 at 9 p.m., while “Bright Lights,” which was originally scheduled to premiere on the premium-cable network in March, has had its small-screen debut moved up to January 7 at 8 p.m.
OWN: Oprah Winfrey Network is also going into its back catalogue to honor the two. The channel will re-air a 2011 interview with Fisher and Reynolds from “The Oprah Winfrey Show.” Last but not least is TCM, which is celebrating Reynolds’ life and work with a 24-hour marathon beginning at 6 a.m. on January 27. The full schedule features several of her most acclaimed films: “It Started With A Kiss” (1959), “Bundle of Joy” (1956), “How the West Was Won” (1963), “The Tender Trap” (1955), “Hit the Deck” (1955), “I Love Melvin” (1953), “Singin’ in the Rain” (1952), “The Unsinkable Molly Brown” (1964), “The Mating Game” (1959), “The Catered Affair” (1956), “The Singing Nun” (1965), “How Sweet It Is!” (1968).